Since 1964, Air Services Heating, Cooling, and All Service Professional Plumbing is your best choice for repair, installation, and service in homes and buildings just like yours in the Springfield, Ozark, Nixa, Republic, Rogersville . We take special pride in the craftsmen we train and employ--a fact you'll see in the reviews below. It's also noticeable immediately in the attitude and integrity our technicians bring to your job site. Our entire company works hard to make your experience with us hassle-free and enjoyable. You can also be assured that Air Services Heating, Cooling, and All Service Professional Plumbing stands behind the work we do as well as complies with all local codes. This is why, as you can see by the map and reviews below, we are rated so highly for Furnace and Air Conditioner Repair and Plumbing Service in Willard MO. Call us today at 417-866-1460! 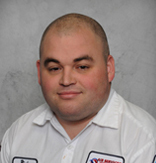 Jeremy L. came out and performed the annual heating and furnace inspection. He was extremely efficient and knowledgeable. He offered suggestions to avoid potential problems, but was not too pushy in wanting us to make a decision right away. Very nice, clean, courteous serviceman. Mike was extremely nice and very helpful. We always have great service with your company. Brandon was a great technician! He was very professional, personable, and informative. We were very pleased with the thorough service he provided today. This is now the third technician we’ve had come to our house from Air Services since we’ve become VIP members and we couldn’t be happier with the experience we have had so far. Thank you! Nathan was very friendly and did a Great job. He was very helpful explaining our new thermostat. Would be happy if you would send him to our house every time. We had the cleaning and tune up of our air conditioning and was pleased with our service rep.
We were very pleased with the service Tyler provided today! To start, when we called to have a technician come out we were quoted an 11pm-1am arrival time, Tyler got here around 7pm! He was personable, professional, and very knowledgeable about the services he was providing. Our unit had just quit working today and Tyler got here and fixed it all right up and thank goodness we have air tonight!! We are so glad we chose Air Services and especially thankful for the VIP membership. I’m confident we will be taken care of all year long! Remington was very professional. He came in did what he was supposed too, explained everything and very friendly in the process. Here on time, performed the service professionally, and resolved any problems. Jeof was awesome. Very professional and did a thorough inspection. We are very pleased with the friendly and knowledgeable service. Jeph was so nice and polite. Definite asset to your company!! 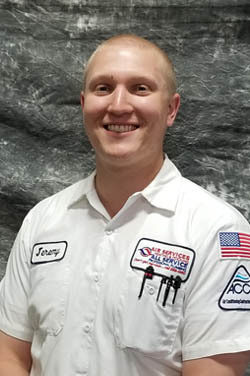 I had my house inspected and Anthony and Jarrod came out for my HVAC fall tuneup and to repair a pipe in the attic that had came apart and they were fantastic. This is the third time Anthony has come to the house and after I move I will get another service contract with all services just because of his great service and knowledge. Thanks again. Will was very polite and checked everything that he could thoroughly. Always kind, friendly and professional staff! We have many pets in our home and the staff goes above and beyond to make the entire household comfortable with their presence ! Anthony fixed both problems in no time and gave me some great advice about my system that I wish I had 15 years ago. I will wait next time to make sure Anthony is my technician. Bryan and Drew were very professional. They arrived on time, kept me appraised of each step of the process, presented the results of their inspection and gave me options and information to make a good decision. Very impressed. Air Services product is overpriced, however that is beyond the scope of this survey. The tech seemed new and inexperienced. While he was there had him replace the water filter and water started pouring everywhere and partially flooded the basement. He couldn't figure out how to turn the water off. I had to use my own house towels and a shop vac to clean up the mess.